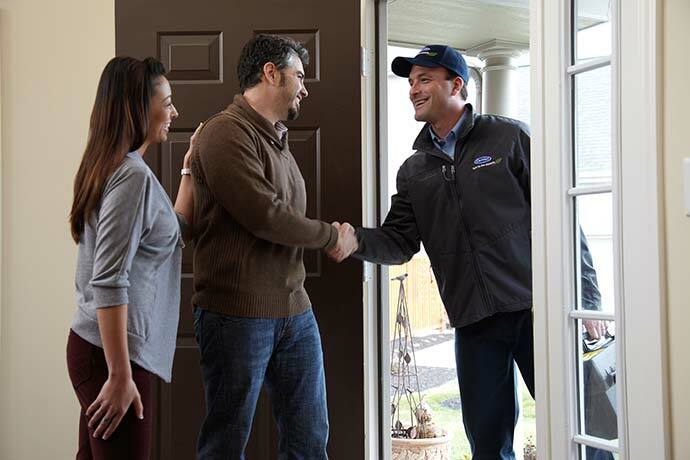 Air Ref, Inc. is a residential air conditioning company serving Shreveport-Bossier City and beyond that you can trust for quick response, quality products and exceptional service. When you need installation services, maintenance or repairs for your air conditioner, heater or ductwork, we’re your first choice. Our NATE-certified technicians can help you with any kind of service to any brand on the market today. We’re also a factory authorized dealer and offer great values on new energy-efficient systems. Call us for a free in-home estimate on system replacement and flat-rate repair pricing. While other HVAC companies may claim to serve Shreveport, LA and Bossier City, LA, we’re based in Shreveport and proudly serve this entire area with integrity, dedication and commitment. And unlike many other companies in our industry, we have a fully equipped sheet metal shop and can solve even your most complicated ductwork challenges to make your system work better for you. We know your home is important to you, so we take special care to protect it during our installation and repair services with shoe covers, drop cloths and whatever is necessary to keep from making a mess of your home. And we work fast, too, using only the best parts available. You see, manufacturer recommendations, code requirements and federal laws are only a minimum standard for our HVAC company. If your air conditioner or heater is out and money is a problem, we offer financing options with approved credit so you can pay over time. We’re a stable and growing company with the resources to offer you several financing options. When your family is uncomfortable because of failing heating or air — or you just know it’s time for a new system — call on an HVAC company with more 30 years experience satisfying clients. Call on Air Ref, Inc. It’s a decision that will serve you well for years to come.